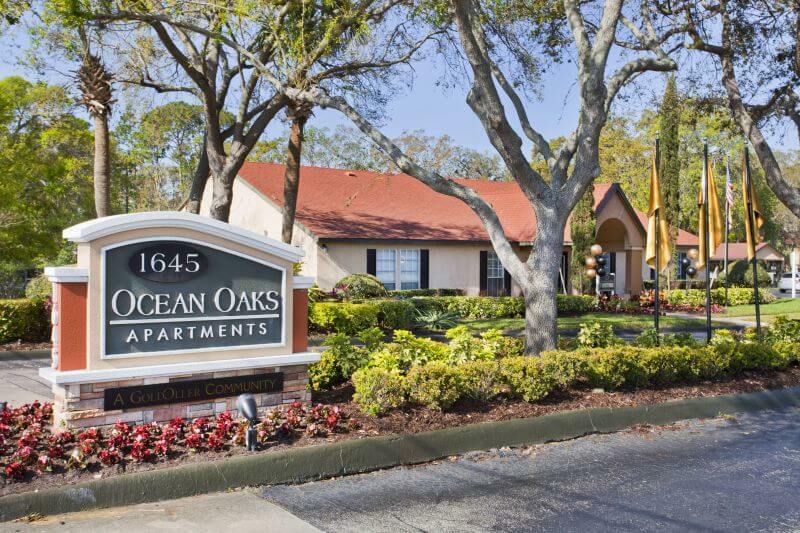 Ocean Oaks is a 296-unit Class B apartment community in Port Orange, Florida a part of the greater coastal metro of Daytona Beach. Located one block off Interstate 95 at Dunlawton Avenue, the property provides residents with immediate access to excellent schools, a large concentration of employers, and Daytona International Airport. The asset is close to numerous shopping, dining, and entertainment venues including the Pavilion at Port Orange and the Daytona Speedway. Community features include: clubhouse, two swimming pools, state-of-the-art fitness facility, self-service car wash, lighted sport court, business center, pet care stations and a dog park, 15 acres of fully sprinklered grounds, and 24-hour maintenance service. Ocean Oaks was developed in 1986 consisting of apartment homes ranging from 733 square foot one bedroom floor plans to 1056 square foot two bedroom, two bath floor plans. Apartment home features include: energy efficient black appliance packages, washer dryers, screened balconies and patios, wood-look flooring, ceramic kitchen/bath tile (in select units), and walk-in closets. An extensive property upgrade program will begin immediately after closing and will focus on enhancements to the clubhouse and community amenity package, exterior curb appeal, and a variety of interior unit upgrades.